President Donald Trump announced on 8 May to pull the US out of the deal expected to limit Iran’s nuclear program and to reintegrate the economic sanctions. The Joint Comprehensive Plan of Action (JCPOA) signed on 14 June 2015 by the Islamic Republic of Iran and the P5+1 countries in Vienna is the agreement reached for guaranteeing the exclusively peaceful nature of Iran’s nuclear programme and in order to follow this path, it submits the country to intensive inspections. 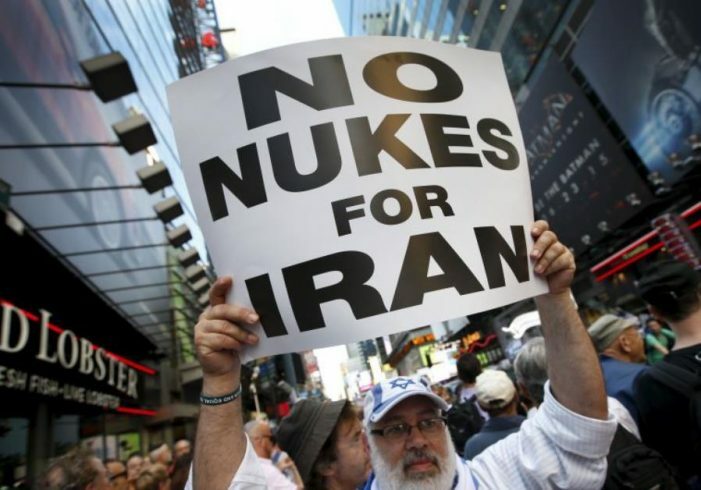 The P5+1 comprises the permanent members of the UN Security Council – United States, France, China, Russia, Great Britain – plus Germany and was established already in 2006 with the purpose of compelling Iran to hamper its uranium enrichment through the adoption of UN resolutions. Germany is also included in the group because is a key trading partner of the Islamic Republic, with consistent import-export trade volume counting billion euros. Among the JCPOA commitments, Iran agreed to reduce the uranium enrichment and uranium enrichment-related activities, hinder the research and development (R&D) plan and avoid any contribution to the development of nuclear explosive devices. The International Atomic Energy Agency (IAEA) is the UN’s nuclear watchdog in charge of constantly monitoring the nuclear supply chain and verifying Iran’s compliance with the agreement. In exchange, many punitive sanctions imposed on the country are poised to be lifted if the IAEA verifies the correct implementation of nuclear-related measures and among the benefits, the oil embargo preventing the import of oil from Iran has been removed. Besides, the agreement does not punish the country for funding terrorist activities, for supporting Bashar al-Assad regime and for the human rights abuses to own citizens. Since concerns of nuclear proliferation arose in the 2000s, the United States, the European Union and the United Nations imposed several rounds of economic sanctions on Iran undermining considerably its economy, isolating the country and blocking its vital oil export activity. According to the following graph, the relief granted on 2015 with the Joint Comprehensive Plan of Action had indeed a positive impact: Iran could open to international business after years of isolation, the unemployment rate was reduced and the inflation decreased. Nonetheless, initial expectations of radical improvements have not been completely met due, in particular, to internal challenges as domestic production stagnation, economic mismanagement and popular discontent. Furthermore, some sanctions non-related with the nuclear issue have remained in place and the US government has continued to ban some American companies to have economic ties with Iran. Trump’s decision to leave the nuclear deal ratified by the predecessor Barack Obama after more than two years of negotiations and to reimpose rigorous sanctions represents a further move in line with his presidential campaign and, as loyal supporter of Israel, embodies measures to weaken again the Islamic Republic, isolate it and undermine its regional aspirations. “My number-one priority is to dismantle the disastrous deal with Iran. This deal is catastrophic for Israel, for the Middle East”, stressed during the 2016 presidential race. On the speech at the Diplomatic Reception Room of the White House, Mr. Trump accused Iran to be “the leading state sponsor of terror” since provides financial and military aid to Hezbollah, Hamas and Al Qaeda, to fuel conflicts, to have bombed American Embassies and according to him, the agreement reached by the P5+1 will only favour in the long-term the Islamic Republic; “it didn’t bring calm, it didn’t bring peace, and it never will”. The goal of the withdrawal is therefore to cripple the economy of a state where anti-government protests and popular discontent run rampant, asking for social freedoms and for reforms dealing with the youth unemployment rate that increased to 40% in those years. Meanwhile, significant financial commitments are addressed to the Assad regime to secure the strategic corridor of Shia allies from Iran to the Mediterranean, via Iraq, Syria and Lebanon (according to the UN, it is estimated that Teheran spends approximately $6 billion per year on military and economic aid to its regional ally in the ongoing 7-year-long civil war). After the announcement, President Hassan Rouhani condemned Mr. Trump to dishonour international treaties but disclosed to remain in the deal and to accomplish to all the obligations in order to end the punitive measures that paralyze the economy. So did the other signatories of the agreement. British Prime Minister May, German Chancellor Merkel and French President Macron expressed their concern about US decision but pledge to continue abiding by the agreement. However, the confrontational approach launched by the White House could have serious risks. First, it is too early to predict if the agreement will collapse without the involvement of the major power but the US exit cannot be underestimated since more the sanctions intensify, more Europe has to ensure satisfactory benefits and guarantees to enable Rouhani to justify the adherence to the deal. If the agreement fails, Iran would most likely revitalize the uranium-enriching capabilities, even under the risk of economic isolation by the Western powers. Second, Trump’s declaration strengthens the hostility between the two countries and might trigger an escalation of violence in the Middle East; in the worst-case scenario, a nuclear arms race that would include the bitter rival, Saudi Arabia, and other countries in the region. Furthermore, breaking the moderate Rouhani with punitive sanctions means heightening the hardliners and put them “in the driving seat and they will be pushing for a much more radical and aggressive foreign policy”, said the Iranian political analyst Trita Parsi. Third, American withdrawal affects a project whose initiatives are found in Europe and after more than a decade of international diplomacy and negotiations, Mr. Trump is hampering European business with Iran. This move represents an umpteenth assault to multilateralism that undermines the US credibility enough to lead Europe to no more fully rely on its transatlantic partner. Fourth, Iran shares many similarities with North Korea, as members of President George W. Bush “axis of evil”, domestic violations of human rights, weapons of mass destruction proliferation, promotion of destabilizing regional activities and undoubtedly even the ongoing international attempts of denuclearization. The disengagement from Iran sends a warning to the peace talks implemented with North Korea since it proves that the US is an unpredictable and untrustworthy partner even if, according to the Trump administration, the approach undertook was aimed at showing that only a complete nuclear program dismantling would be possible under a “strong” deal ratified by the President.